Style Weekly's 30th Anniversary Issue | Cover Story | Style Weekly - Richmond, VA local news, arts, and events. Richmond is weird and there's nothing wrong with that. Join us for a look back at three decades of River City oddities. How do you judge what makes a good story? A former editor of Style Weekly, Greg Weatherford, used to remind the newsroom that the most successful stories were either really interesting or really important. If you lacked in one area, you'd better make up for it with the other. And if they contained high dosages of both, all the better. We're not exactly sure where that leaves us with this particular issue of Style, which marks our 30th anniversary. Because the content that follows evades — nay, defies, succinct classification, categorization or characterization. Then again, it is not, as Seinfeld might say, a show about nothing. 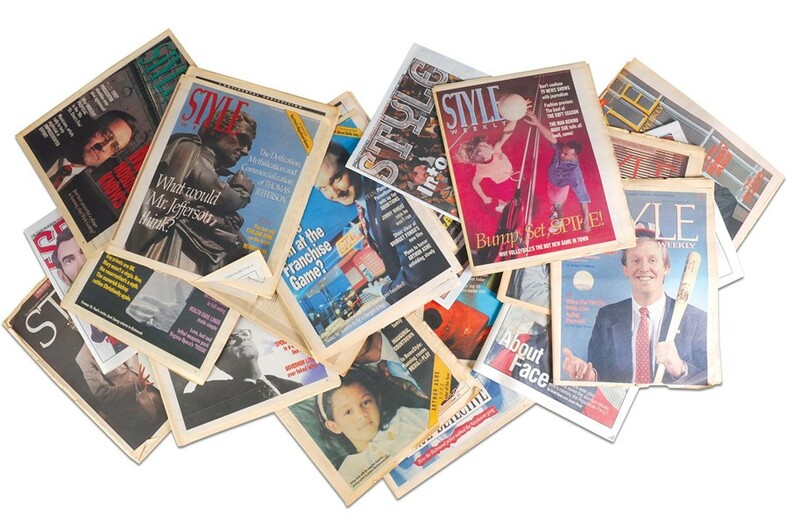 Click here for 30 years of Style Weekly memories.